Nova Scotia's largest food bank has seen both a jump in the number of farmers donating and in donations of fresh produce, a spokeswoman says. Nova Scotia's largest network of food banks has seen both a jump in the number of farmers donating and in donations of fresh produce, a spokeswoman says. More farmers likely are taking advantage of a new tax credit established by the province in May, said Karen Theriault of Feed Nova Scotia. 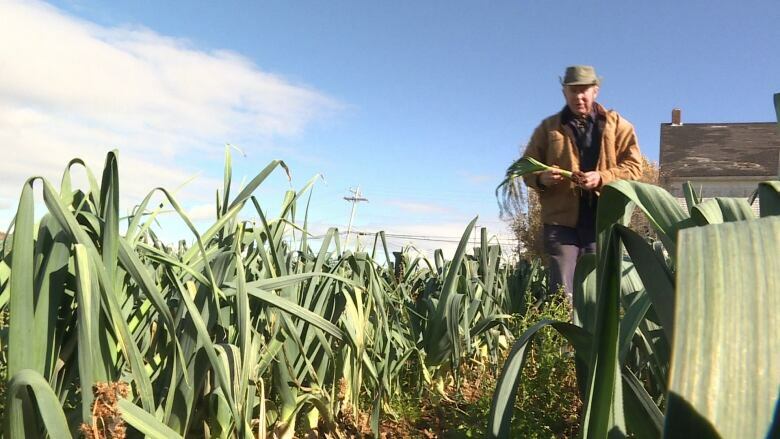 The tax credit gives a farm 25 per cent of the market value of all fresh produce donated to organizations, such as Feed Nova Scotia, which supplies food banks across the province. "We've been super excited about that immediate response," Theriault said. "But I think that we're just scratching the surface." She said she expects more farmers to donate as they learn about the new tax credit. Already thousands more kilograms of food have been donated. In August, produce donations were up 29,000 kilograms over last year, she said. Those donations are coming from a larger group of donors, too. In September, 13 farmers donated. In the same month last year, only three gave. "It's definitely helping," Theriault said. "But are we anywhere near where we need to be? No." Canning, N.S., vegetable farmer Richard Melvin agreed. "It's a small step, in relative terms, but none the less, a positive one," Melvin said, referring to the new tax credit. Melvin said there is still too much food going to waste in farmer's fields. It's either too small or not cosmetically suitable, and isn't worth the cost to harvest, he said. "When you're in our boots, and you see the amount of good food that stays behind in fields, it's just astronomical," Melvin said. "There's no reason on earth that anybody in Nova Scotia should not have access to a perfectly healthy diet seven days a week, all year round." 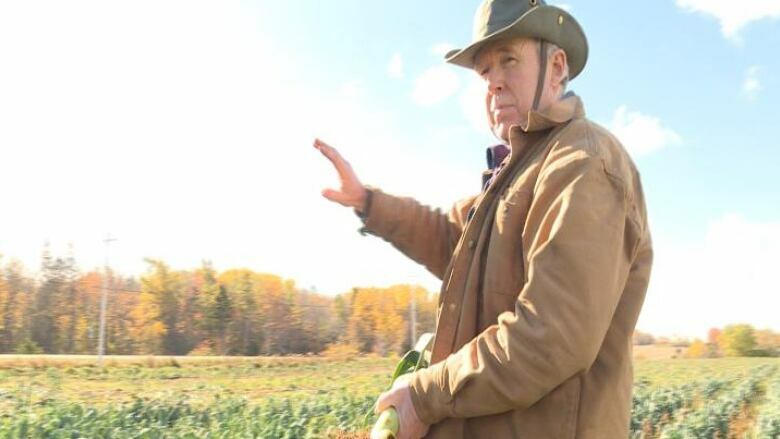 Melvin estimated as much as 30 to 40 per cent of the province's agricultural product is wasted because there is no market value for farmers. "There's some creative thinking that needs to be brought to bear in terms of public policy of how to harness that," he said. "We as farmers are more than glad to help out." Melvin suggested farmers could work directly with charitable groups to bring the cost of food down for food banks, while giving farmers a market for their product. For example, if a food bank needed to buy produce, it could go to a farmer directly and pay a fraction of the price the grocery store charges. He added volunteers could help harvest donations for food banks.